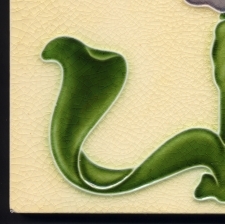 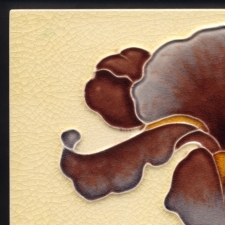 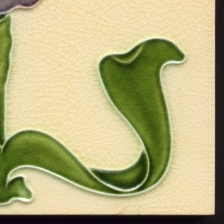 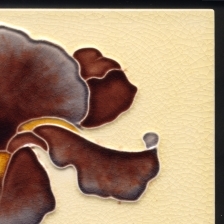 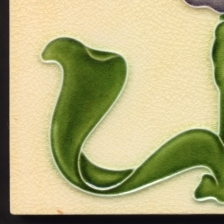 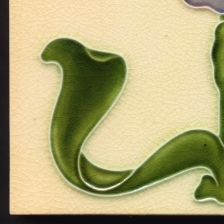 An iconic art nouveau design of an iris, found in many colourways perhaps two dozen or more. This colourway featured in the 1905 catalogue of Pryke & Palmer, major London hardware wholesalers perhaps explaining the popularity of this colourway which was more expensive than other popular colourways. The colours seem to have been difficult to use as few are perfectly painted this is by far the best group I have seen. Versos perfectly clean, embossed registration number. Very slight losses to the tip of the rim. Very tiny chip bottom left corner. Tiny chip top right corner, other minute chips/losses to the rim. One very tiny, one minute rim chips.